Mega Cleaning is the market leading cleaning company in Guildford – a brand that you can easily entrust your carpets and rugs too, and enjoy faultless results. In the maintenance of textile floorings, regular carpet cleaning in Guildford is a very important part. In a home environment, a thorough washing is recommended at least once a year, depending on dirt level. When it comes to public premises, such as offices, though, due to the much higher foot traffic, a maintenance schedule should be established and regularly performed by a professional cleaning technician. As a matter of fact, by using professional cleaning of your carpets and rugs you actually extend their life. One of the key elements in the carpet maintenance is vacuuming. Walkways in public buildings and office spaces should be vacuumed daily. For other areas, vacuum treatments are advisable once or twice a week. The choice of a vacuum cleaner is essential for good results. For public spaces, we recommend the so-called industrial vacuum cleaners with good capacity. When using the brush function, you should proceed with caution, do not use hard brushes and set the machine so that they do not penetrate too deep into the fibres. This advice applies primarily to woven rugs where the yarn can be damaged. Shampooing carefully the carpets with a professional machine is an effective carpet cleaning method that simultaneously protects them against attracting back dirt. Another key point is the exact pre-treatment of any spots and stains with the appropriate stain removals. Mega Cleaning specialists are well-trained and they are experts in the field. You will receive precise and accurate treatment of your carpets and rugs. Even though you have old stains, dark marks on your beloved carpet our technicians will do everything possible to clean them up to perfection. Upon request at the end of the service, we can apply a protective layer. This way, by adding it to the fibres, it repels dirt and regular maintenance becomes much easier. When the carpet is extremely dirty, the most common deep cleaning method is through extraction. It is highly effective for removing stains and dirt from heavily soiled carpets and excellent for pre-treating the carpet before the actual procedure is performed. During the cleaning process, almost 95% of the moisture will be extracted from the carpet cleaners with all the accumulated dirt, bacteria, and unpleasant odours which decrease the final drying process. Good air flow and ventilation of the room help the natural drying of your carpets. 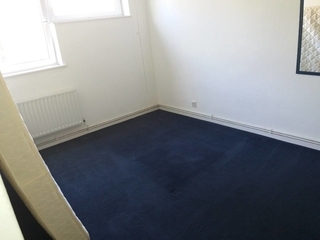 A perfect asset to your Carpet cleaning service can be any of the other services we offer in Guildford such as One off cleaning and End of tenancy cleaning. You can combine you carpet cleaning with upholstery cleaning. 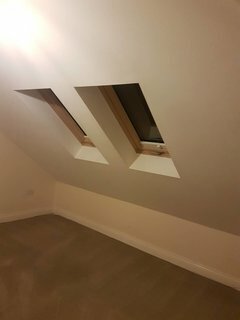 We offer a great after builders cleaning service too. For more details, you can have a look at our price list and deals. When you book an appointment with Mega Carpet Cleaning in Guildford, our carpet cleaners will decide the exact cleaning method suitable for your carpets upon arrival. We guarantee you perfect outcome and carpets looking like new! 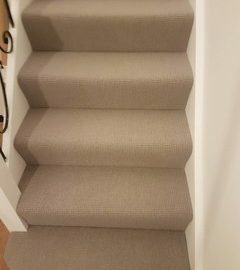 Contact us today on 020 3637 7737 and give your carpets the ideal treatment they deserve.